Our primary concern is the health and wellness of each of our campers during the summer. In addition to all of our first-aid trained counselors, Waukeela has two registered nurses on hand at all times in our infirmary to take care of any illness or injury. They are available 24/7 to provide our campers with anything they might need. These nurses also provide our campers with any regularly scheduled medications they may need to take. Waukeela is conveniently located just twelve miles away from the largest hospital in central New Hampshire and only five miles away from a pediatric clinic in Conway. 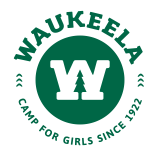 To help aid in our campers’ health and wellness, all of our counselors are trained to understand and meet the needs of our Waukeela girls. We take an individualized approach to health and wellness by providing our campers with healthy eating opportunities, healthy activity choices and the caring support of their Waukeela family.